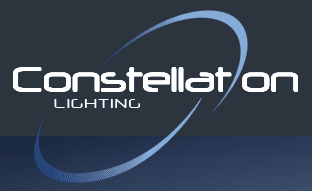 Constellation Lighting Ltd has been in the LED lighting business for over 18 years. We are specialist in designing and supplying cost-effective, quality LED lighting solutions for B2B customers in the industrial, commercial, private and military sectors. All of our lights are approved by Carbon Trust which allows customers to take advantage of government tax breaks and apply to the Green Business Fund. Being an Authorised Cree distributor. Bespoke solutions to meet customer’s specific needs. An experienced designer and manufacturer of LED lighting. Established since 2004 with an expertise built on practical experience. Having worked with companies around the world to provide cost-effective solutions. We are one of the UK’s longest established designers and manufacturer of LED lighting and can offer bespoke lighting solutions for customers. - Saving up to 75% on energy used for lighting. - Low maintenance costs with lights that have an 80,000 hour life expectancy. Your customers will want to know more about our LED lighting because our LED products are energy-efficient, high quality, long-lasting, and also offer better lighting than other products on the market. - Green building certification compliance. - Mercury content free lighting. - Up to 75% energy savings. We are looking for sales partners in the Yorkshire area that have customers and contacts in the B2B sector with premises that would benefit from changing their current lighting to LED. You could be selling a technical or buildings related product or service that our LED lighting service will complement. Alternatively you may be visiting customers with an unrelated product and be able to present the benefits of LED lighting. Agents will present the benefits of converting to LED lighting, qualify their contact as a potential customer with a genuine interest in moving forward, and pass the details to our team at Constellation Lighting. A commission payment will be made for each qualified lead that converts to a paying client. Commission is open ended with no cap on earnings. You will receive full support from Constellation Lighting to help you qualify prospects, answer questions, and feedback on the progress of each lead that you pass to us. We are looking for experienced sales agents to act as partners and form a long term relationship with Constellation Lighting for our ongoing mutual gain. To start the process and to find out more about how we can work together, use the Start Dialogue button below and include details of your current sales activity and the types of contacts you work with. Our satisfied customers have included: warehouses, factory units, engineering shops, cold stores and food manufacturers, sports venues, and ports and other outdoor areas. We can provide LED lighting for both interior and exterior locations and environmental situations such as cold rooms. Whatever sector your customers work in, whether their premises have internal or external lighting requirements, we can provide the perfect, cost-effective solution for all their lighting situations.